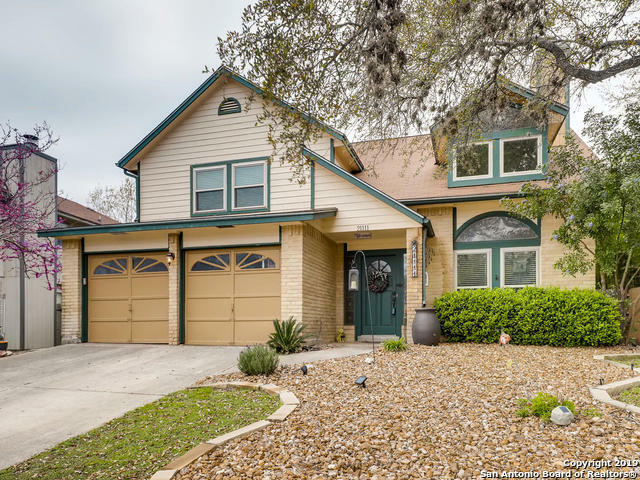 All ENCINO FOREST homes currently listed for sale in San Antonio as of 04/20/2019 are shown below. You can change the search criteria at any time by pressing the 'Change Search' button below. "See Associated Documents for Offer Instructions, Sellers Disclosure and Survey if available. Upstairs AC replaced in 2018, Roof in 2014, Laminate flooring in 2018, Triple pane windows in 2016, Water softener in 2017." "Beautiful recent remodel next to recreation center/pool and walking distance to elementary school. Updated paint, finishes, and fixtures and flooring throughout! Kitchen has all new cabinetry, granite countertops, and stainless appliances. All bathrooms with new cabinets with marble tops. Master bath is a must see!! Jetted tub, luxurious double vanities, and large glass door shower! Multiple living rooms, large back yard on corner lot right next to community pool, sports court, and playgrou"
"Fantastic 3 bed 2.5 bath home in Encino Forest. Laminate throughout formal areas and casual living, wood-like tile in master, and NEW carpet upstairs! Large kitchen with stainless steel appliances, island, bar seating, and built in bench in breakfast area that opens for additional storage! Master down and spacious secondary bedrooms up along with game room. Outdoor space is peaceful - mature trees, green space, extended patio partially covered, hot tub to convey. NEISD, Johnson HS, close to 1604"